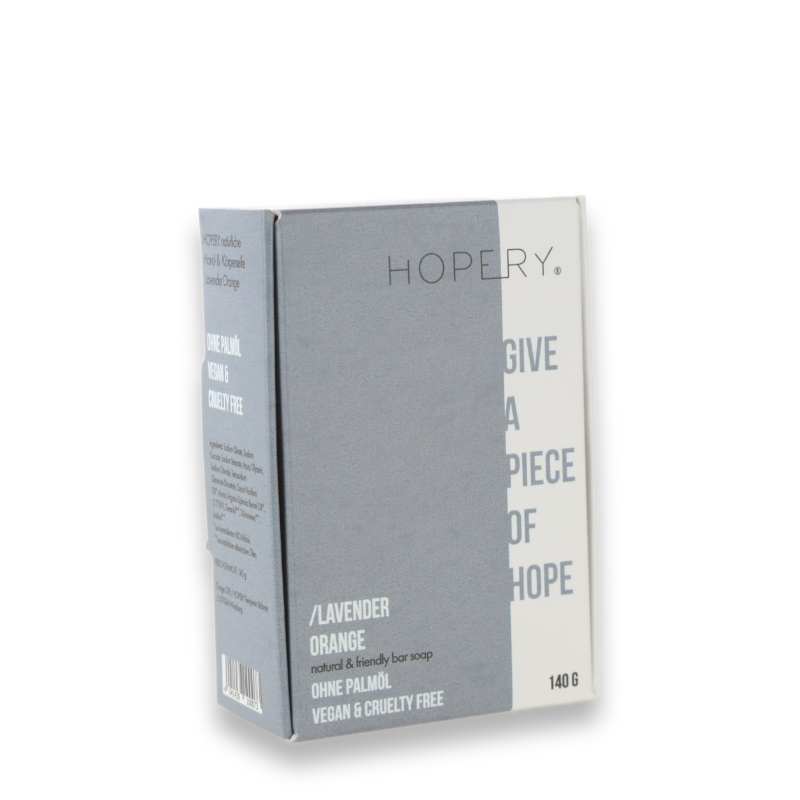 HOPERY vegetable oil soap cleanses you naturally, effective and gentle. 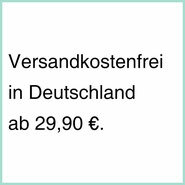 It clears your skin without drying it out. 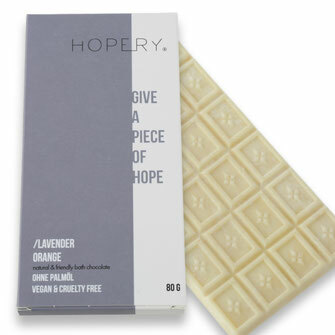 Organic Coconut, Organic Argan and Virgin Olive Oil nourish your skin during cleansing. 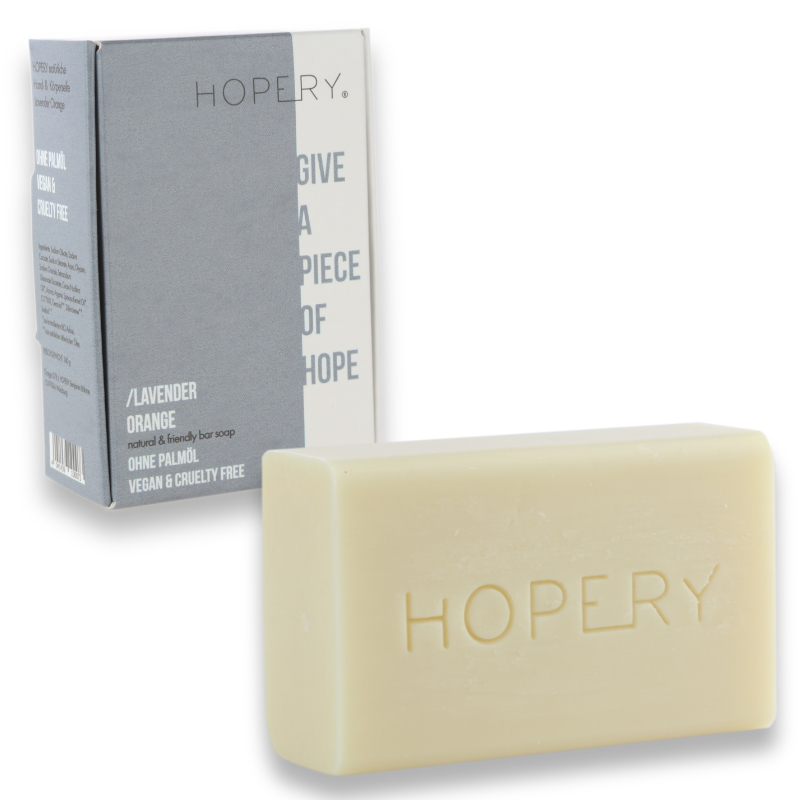 Use HOPERY soap as a gently foaming hand soap or in the HOPERY cotton soap bag for a particularly mild body cleansing in the shower. Ingredients: Sodium Olivate, Sodium Cocoate, Sodium Stearate, Aqua, Glycerin, Sodium Chloride, Tetrasodium Glutamate Diacetate, Cocos Nucifera Oil*, Aroma, Argania Spinosa Kernel Oil*, CI 77891, Geraniol**, D-Limonene**, Linalool**.